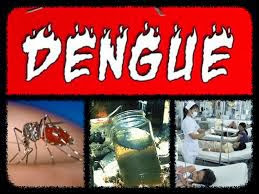 Shillong, Nov 4 : Health authorities in Meghalaya Sunday sounded a dengue alert after 18 people from Tura, the district headquarters of West Garo Hills, tested positive for the virus in about the last four days. "We have sounded a dengue alert in the district after 18 people, who were down with flu-like symptoms for the past few days, tested positive for dengue," Pravin Bakshi, the district magistrate of West Garo Hills, told IANS. Initially, the patients were admitted to the Tura civil hospital. They were later discharged, but are still under medication, the official said. Bakshi said health officials have been issuing public notices to alert the people on the disease, while a team of medical officials from Shillong, Meghalaya state capital, rushed in to Tura to monitor the situation. "A team of epidemiologists will also visit the district to study the pattern of the disease," Bakshi, who is also the chairman of the district health society, said. Health officials will also undertake fogging in various localities to ensure that aedes mosquitoes, which are responsible for the outbreak of dengue, do not find breeding ground. Bakshi said that he has directed hospital authorities across the state to provide adequate treatment and medicines to those suffering from the disease. Dengue is a tropical disease. Common symptoms include fever, headache, muscle and joint pains and skin rash. There is no vaccine for dengue and the only way to reduce infections is to improve hygiene levels so as to prevent mosquito bites and stop mosquitoes from breeding. It is particularly difficult to create a vaccine because the disease is caused by different viruses and there are no animal models available for testing. The disease kills over 5,000 Indians every year, and remains a seasonal threat, particularly during the monsoon.